THIS WEEKEND IN SOUTH SEATTLE—Call Her Ganda, Shop Seattle Gems on Beacon Hill, Khu.eex at Columbia City Theater, and more! Where: Columbia City Theater Bourbon Bar— 4916 Rainier Ave. S.
THIS WEEKEND IN SOUTH SEATTLE—Eat With Muslims, MeToo Healers Circle, Rainier Beach Cultural Community Dinner Series, and more! “Every Friday, we will have Po’Boys for sale from 6-10pm. These Po’ Boys are some of the best you will ever try – New Orleans style and fresh. We will have Catfish, Shrimp, and Oyster Po’ Boys!! Where: Estelita’s Library — 2533 16th Ave S.
THIS WEEKEND IN SOUTH SEATTLE—Seattle Black Panther Party Mural Unveiling, Bindlestiff Seattle, SoulOut Showcase Vol. 3, and more! THIS WEEKEND IN SOUTH SEATTLE—The Kutt’N’Up Massacre, Hip Hop History Month Kick-Off, Bunka no Hi, and more! The Expanding Universe of APAs in Science Fiction—“Looking at the connection between Asian Pacific Americans and the infinite possibilities of science fiction, World’s Beyond Here follows the path of a young Sci Fi fan becoming an empowered creator, limited only by imagination. THIS WEEKEND IN SOUTH SEATTLE—Melodic Poetry of Phoebe Snow, Madison McFerrin & SassyBlack, Bring Your Own Ballot Party, and more! “This Pacific Northwest premiere is produced by Latino Theatre Projects in association with Theatre Off Jackson and is directed by Fernando Luna. The complex characters are portrayed by Alyssa Norling, Sofia Raquel Sanchez, and Vero LeCocq.” Playing nightly, Thurs–Sat through November 3. Where: Theatre Off Jackson—409 Seventh Ave. S.
We’ve rounded up some very special South End Día de los Muertos events. Find out where to celebrate with fellow community members, take the family for arts, crafts, rich cultural education, and to honor loved ones who have passed on in the Mexican and Latinx tradition of Día de los Muertos. To learn more about this beautiful holiday, its origins, and why and how its celebrated, check out this 2015 article from our pals at the Seattle Globalist. For Halloween-related events, check out our sister seasonal events round-up here, and you can find our usual weekend events round-up here. THIS HALLOWEEN IN SOUTH SEATTLE—Bollywood Thriller, Festive Ice Cream Social, QTPOC Halloween, and more “spooky” & sugar-fueled fun! Find our usual weekend events round-up here. “Meeting of Brian’s 16mm Film Club! He is a 16mm film collector and he is bringing his collection to South Park Hall every Monday in October, Just $5 kids 5 and under free and FREE POPCORN !!! 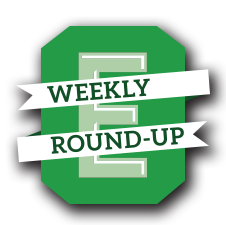 !” Editor’s Note: This event repeats on Monday, Oct. 29. 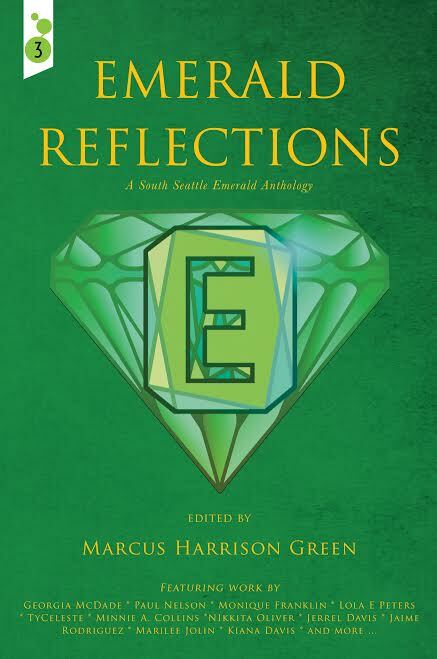 The Emerald Anthology Now Available for Sale! Makes a great gift! Be the first to get new stories sent straight into your inbox.